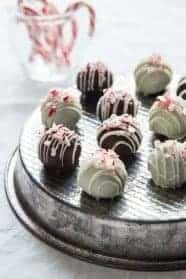 Peppermint Oreos are combined with cream cheese and crushed candy canes and in dipped in candy melts to create Peppermint Oreo Cookie Balls. They’re simple and so delicious. 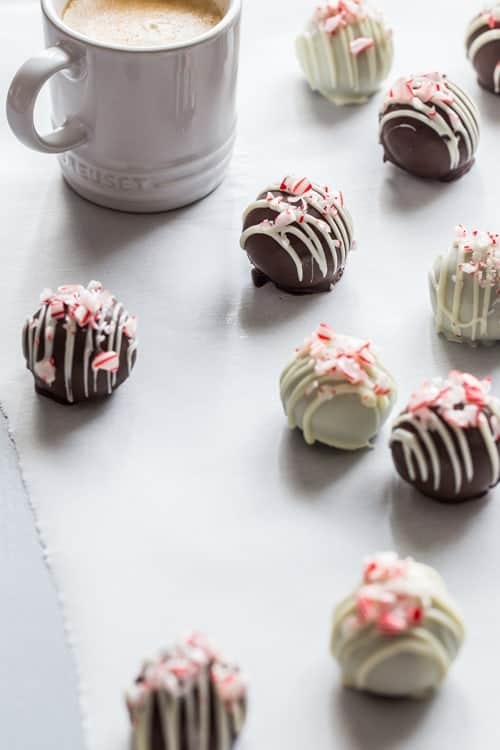 It is going to become incredibly apparent in the coming weeks that I have a thing for peppermint and chocolate during the holiday season. 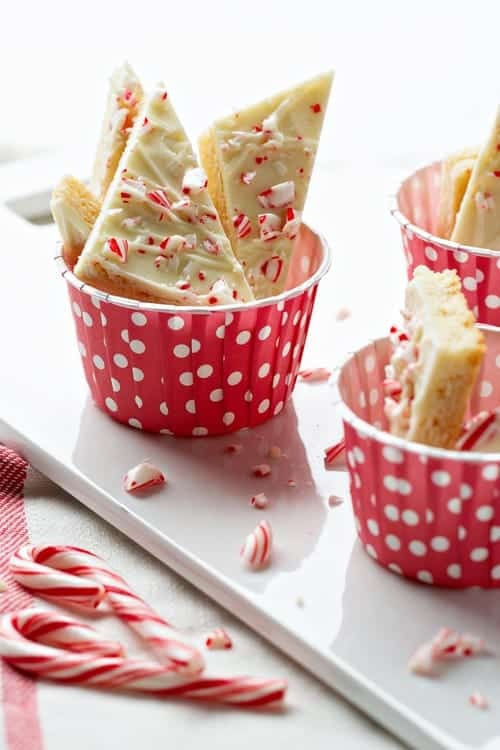 I’ve already stocked my pantry with eleventy-million Ghirardelli Peppermint Bark Bars and numerous bags of the minis. I like to consider a piece or two my treat after a long day’s work, but if I’m being honest, I kinda snack on these babies numerous occasions throughout the work day. If you’ve been a regular here on My Baking Addiction in recent months, you know that we’ve been planning a pretty big move to the opposite side of Ohio. And after months and months and months of searching for our perfect home, we ended up deciding to build. I’m super excited to report that we officially have a basement complete with walls! A huge load of lumber arrived to our lot on Monday, so it’s only a matter of a few days until the framing begins. If you’re interested in progress updates, I’ve shared a couple on my Instagram and will continue to share throughout the process. Since we live well over an hour away from our new home, we’ve been doing a lot of traveling back and forth. Although we can’t check up on the progress daily, since our families are local to the new house, we’ve been lucky enough to have them drive by, snap photos and update us every step of the way. I’m sure our builders love being stalked. We’re just really, really excited! Since we’re planning a mid-winter move, we’re in the process of going through all the things. In fact, we had a garage cleaning party two weeks ago. Okay, it so wasn’t a party, but we bribed friends and family with Sloppy Joes and first dibs on anything we didn’t want from the garage. From a meat smoker and speakers to cupcake carriers and loads of random baking pans, I’d say they made out like bandits. And so did we – there’s nothing better than a freshly cleaned garage – well, maybe a freshly cleaned house and garage. It feels like a fresh start, and we’re pretty ecstatic about it! Due to all the packing coinciding with the holiday season, we’re kind of taking it easy in the baking and cooking departments. Dinners have consisted of grilled cheese and tomato soup more times than I care to admit. And one day last week, we ate macaroni and cheese with cut-up hot dogs on paper plates while sitting on our living room floor watching the Cavs. We’re supah fancy like that. So when it comes to the sweets, we’re looking for easy. Desserts like these Peppermint Oreo Cookie Balls are so easy to make! They’re also always one of the first things to disappear from any cookie platter or holiday dessert table. 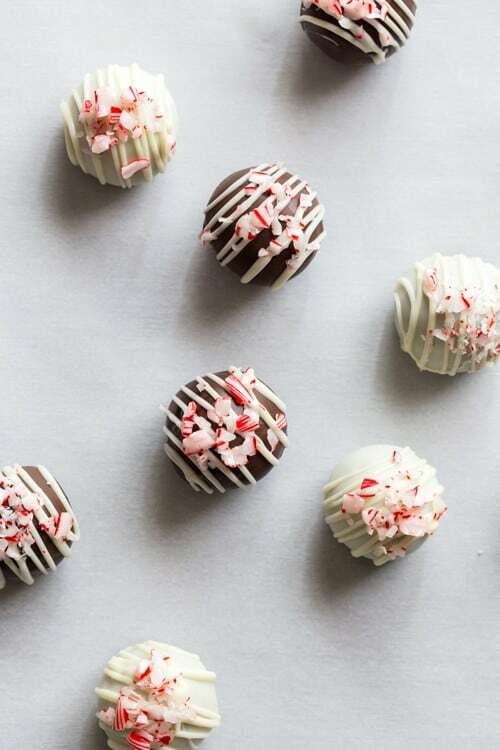 And with only a handful of ingredients and minimal prep work, they’re perfect for anyone who is looking for a simple, crowd pleasing holiday dessert. Go ahead, roll up your sleeves, crush some Oreos and create something delicious. I bet ya can’t eat just one! I placed the 10 mini candy canes into my food processor really crush them into a fine texture. 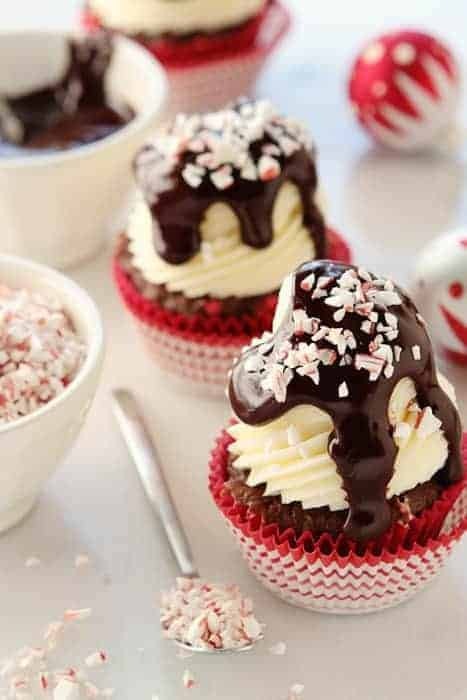 The candy canes used for topping were crushed in a ziptop bag with a mallet. This recipe was updated in November 2016 to reflect the new size package of Peppermint Oreos.